Ajman – UAE. Thanani, the recently opened contemporary restaurant in Ajman’s serene Al Zorah Pavilion has opened its doors. 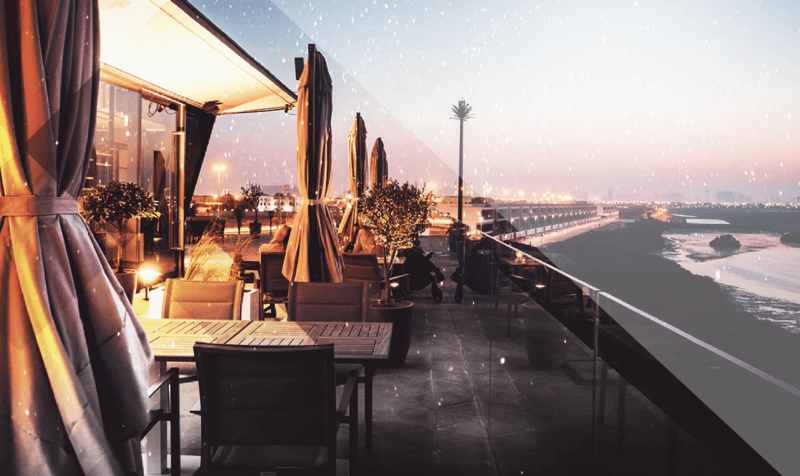 An urban sanctuary, the venue is poised to indulge guests with its unique culinary offering all set against the beautiful backdrop of the Al Zorah Creek with sweeping views of flamingos and one of the region’s most prized natural mangrove forests. Derived from the Arabic word for “pairing”, Thanani’s culinary inspiration comes from the power house kitchens of modern-day Europe, Paris, Barcelona, London, Rome and the north of Italy. Diners can sample a unique European “grazing” style menu, with sumptuous dishes designed to be shared, complemented by a well-crafted beverage menu. Great attention has been paid to ensuring that only the finest quality seasonal ingredients are used and the restaurant’s premise is simple – clean, distinct flavours are presented in a simple but beautiful way. An array of specialities feature on the menu, carefully curated by Head Chef Ricardo Menta who believes in enhancing the natural profile of every ingredient. Some of the delicacies on offer include a bespoke Burrata trolley featuring smoked and flavoured Burrata from Puglia in Italy, Loch Duart salmon, Kataifi prawns marinated in garlic olive oil and parsley with a sweet and sour apricot puree, Turkish chicken, freshly baked baskets of flavoured brioche and focaccia sliders with slow braised wagyu beef cheeks in a tarragon sauce. Thanani will also introduce the much-loved pintxos concept to the region. In addition, there will be a selection of mocktails with home-made ingredients such as freshly squeezed juices and home-made ginger beer. The laidback, refined atmosphere at Thanani is enhanced by a lounge-style seating area, perfect for the cooler months.